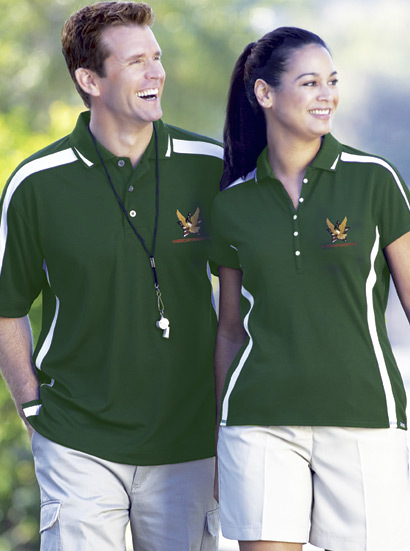 100% micro polyester birds eye polo is specially treated with hi cool technology to keep you dry and comfortable. This simple yet sporty design looks good on everyone. The careful placement of the color block contrasting design on the shoulder, across the back and down the sides give it the perfect look. Mercerized collar with unique design lays flat – won’t curl, finished with crystal buttons.